Assisting the bereaved as they journey towards improved health and renewed sense of worth in the wake of loss. We modified the DBT House* activity to include a grief component. This activity is a great way to allow a client the opportunity to explore his/her grief journey in the context of other areas in his/her life. The activity may may be used during an individual session and it works great during family sessions. You could also use this activity in a group setting. 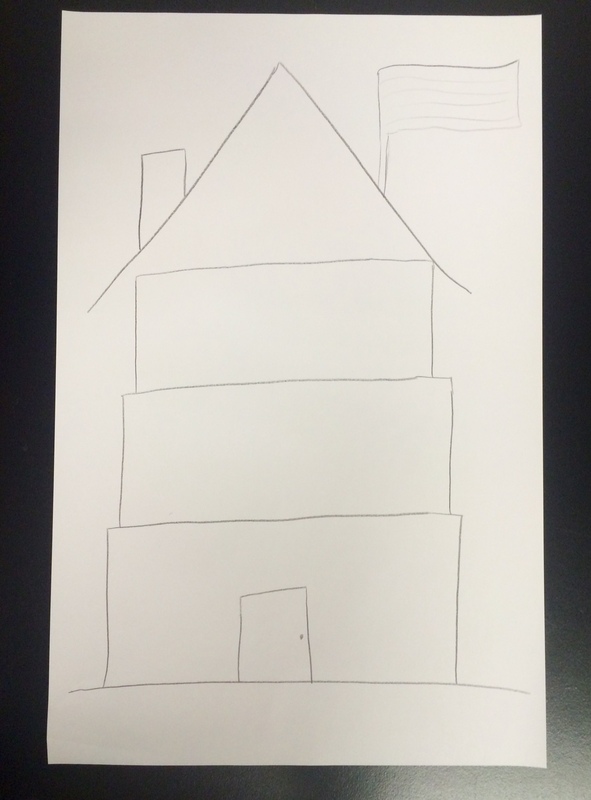 Instruct the client to draw the outline of a house with the following requirements. Note: I’ve noticed that all my client’s draw a house that looks different and this is okay. It seems that the house drawn is a good representation of the client’s personality, so allow them the freedom to draw it without expecting it to look a certain way. Here is an example, but remember, it is only an example. Encourage creativity! Foundation: On the floor of the house, write the values that govern your life. Walls: On the walls of the house, write the people or things who support you. Roof: On the roof of the house, write the things or people that protect you. Chimney: Coming out of the chimney, write ways that you blow off steam. Flag: On the flag, write what you want people to know about you. Door: On the door, write the things that you keep hidden from others. 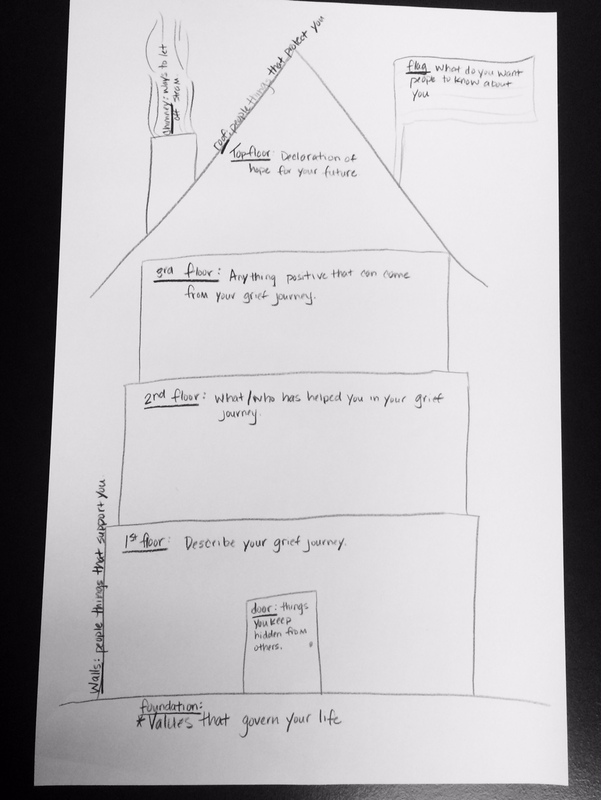 1st Floor: On the 1st floor, write words that describe your grief journey. 2nd Floor: On the 2nd floor, write things that have helped you in your grief journey. 3rd Floor: On the 3rd floor, write anything positive that may come from your grief journey. Top Floor: On the top floor, write a declaration of hope for your future. Thank you for this powerful activity! I had the honor of walking a client thru it yesterday, and she really enjoyed it. She plans to work on it more on her own and add more. Thank you for sharing.